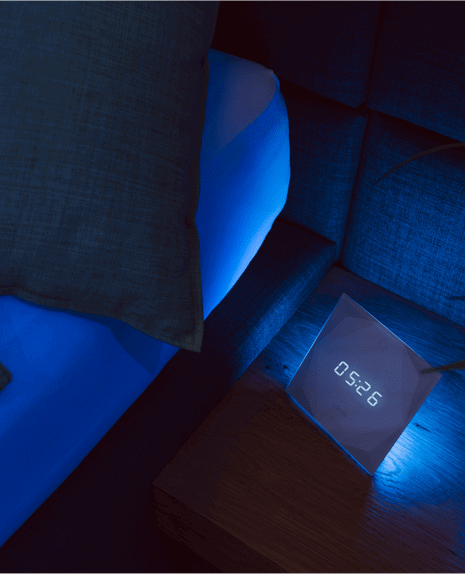 The Touch Nightlight is far more than just an ordinary nightlight. It’s an alarm, control unit, ambient light and nightlight all at the same time. This versatility makes it the perfect addition for all rooms, particularly the bedroom. Whether you enjoy a cup of tea, a good book or a film before bed – the bedroom isn’t just for sleeping. The Touch Nightlight subtly illuminates your bedroom in a range of colours. This ensures a pleasant atmosphere and your well-being. 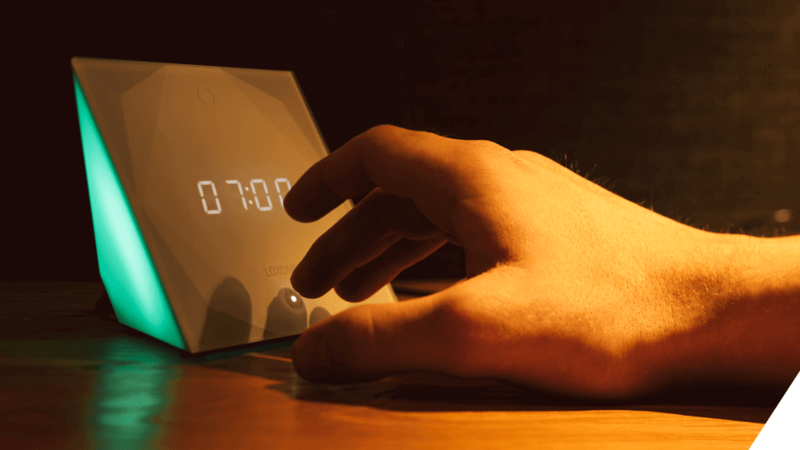 As a light alarm clock, the Touch Nightlight can help you wake up in an even more relaxed manner. A light, which slowly increases in intensity can gently bring you out of your slumber. So you can start the new day full of energy. Whether you need to visit the bathroom in the night or you start the day before sunrise, everyone could use a subtle unobtrusive light to help them navigate the room. The Touch Nightlight guides you around any potential obstacles without disturbing your partner. At night dreams literally come true and the little ones become superheroes, football pros or great explorers. But these adventures don’t always run smoothly. Therefore, the Touch Nightlight has a built-in monster defence system. Well, it emits just enough light so that the little adventurers know that everything is fine should they wake up. The Touch Nightlight incorporates the Touch Pure which makes this a stylish control panel for your home. Air technology allows you to place the Touch Nightlight almost anywhere around the home. 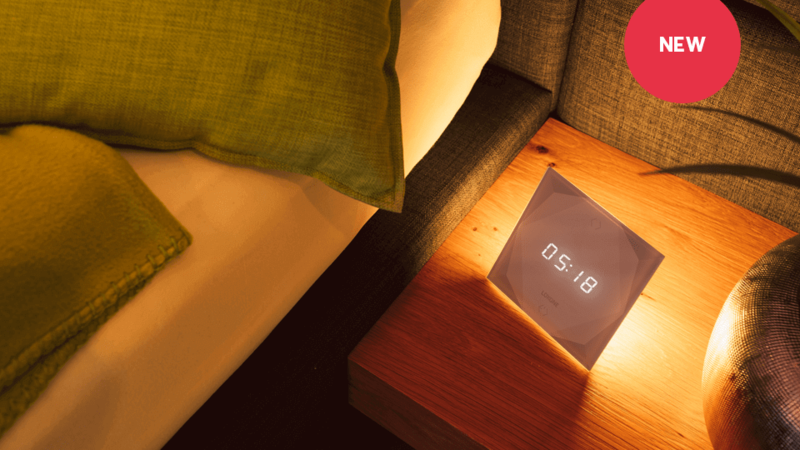 We’d suggest placing it on your bedside table so you can control your smart home from the comfort of your bed. The inputs are freely assignable, however, we recommend the larger centre touch point for lighting and the four corners for shading and music control. The Touch Nightlight integrates seamlessly into your Real Smart Home and can be combined with a variety of smart functions. 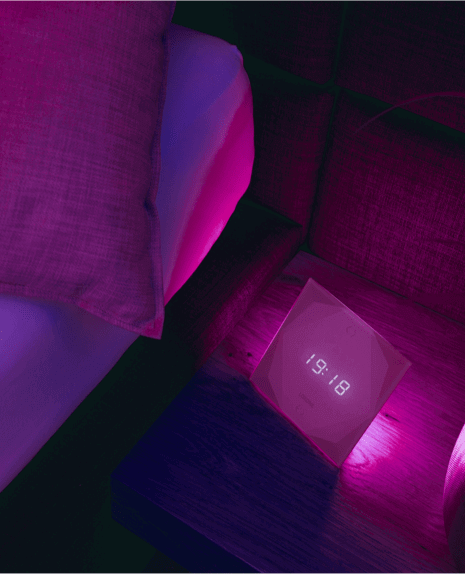 Whether it’s through one of the five built-in alarm tones, a music alarm via the Loxone Music Server or a light alarm clock, the Touch Nightlight can wake you as you wish. There are no limits to the combinations of these alarms, you can use all of them or just one. Touching the ‘alarm’ button disables the alarm. 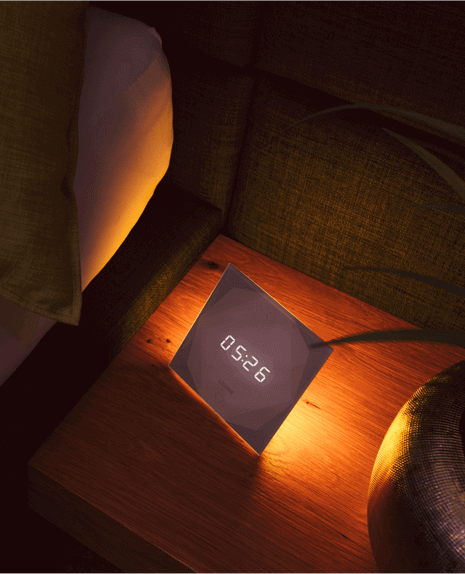 However, touching anywhere else on the Touch Nightlight sets the alarm into snooze mode. You can freely set the snooze duration in the Loxone app. If the intruder alarm is triggered, the Touch Nightlight will react in three stages like the rest of your smart home. First, it will emit an audible clicking sound. Then, it will play an alarm tone. Finally, it will begin to flash to ensure you are aware of the potential danger. Would you like to make your Real Smart Home even more comfortable with the extensive functions of the Touch Nightlight? Visit our shop to see what else the Touch Nightlight can do.